At Instamojo, we have a variety of merchants selling different things. We also have merchants that sell many things, differently. One such merchant is Beyond Enough – an e-commerce startup that has grown by leaps and bounds in just a year. We spoke to the CEO and founder of Beyond Enough to find the mantra to their success. 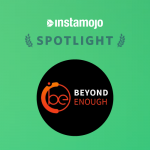 Instamojo: Something special always happens at Beyond Enough – what made you come up with the idea? Brijesh: Being in the payments & retail industry for more than a decade, we thought we could build an end-to-end solution where various business models can co-exist. We are always craving for that something extra, right? Our thirst & hunger for more never ends. At Beyond Enough (aka ‘BE’), we go beyond boundaries to get the best products/services at the best prices in the industry. Beyond Enough, as the name suggests, helps you get more than what is enough when it comes to entertainment, online shopping, & other services like salon at your doorstep. Be it a haircut, beauty or just make-up for occasions, simply book our services, sit back & relax, we have you covered! Instamojo: Sounds exciting! We’re sure you have something awesome planned for the New Year season. What’s cooking? Brijesh: We started our transactions exactly same time last year! There is nothing like sharing the joy of New Year celebrations. We teamed up with IMAGICA last year and had a blast. The fun is going to be double this year. We’re back with NYE 2018 at India’s favorite themed destination! You can join India’s most happening New Year Party in an open-air arena, and enjoy international standard rides & attractions. You can also feast on mouth-watering food & unlimited drinks while watching live performances! Instamojo: Wow! Do we get free tickets? Brijesh: Well! Beyond Enough’s discounts are as good as free! Instamojo: Haha! Awesome! How can we purchase tickets to this party? Please take us through the process. Step 1 – Click on this link. f. Please apply respective COUPON CODE to avail the exciting discounts and proceed to make the payment. Step 2 – After the payment, you shall receive a TRANSACTION ID via SMS as well as an EMAIL from IMAGICA which you need to carry (no HardCopy required). You need to present the Transaction ID over the counter to collect the tickets. Instamojo: Oh! That’s pretty simple! How is the event doing? Have you been able to sell a lot? Brijesh: Absolutely! We launched this event last week and it is selling like hot cakes! We expect more traction in the coming week. We are very excited about the events. They always are a blockbuster. Instamojo: Sounds super, Brijesh! What are Beyond Enough’s plans for 2018? Take us through your growth roadmap. Brijesh: We are planning to launch quite a few features at Beyond Enough. You should definitely look out for features like Beyond Cash ( wallet) and a quirky products marketplace. We are also expanding into travel & leisure, movies & dining and, gift card purchases. Socially engaging e-commerce is something we are aiming at. Instamojo: We would definitely look forward to this and hope you have a productive and prosperous year ahead, Brijesh! Brijesh: Thank you so much! Team Instamojo is a powerful bunch that has always helped us in our times of need. I started accepting online payments with Instamojo & never needed an alternative. Instamojo has given us more than 15Mn worth of successful transactions till date in our journey of just a year! We hope you guys have a great year too. Instamojo: Thank you, Brijesh! We are so glad to be a part of your success. Would you want to give our readers a business mantra before we wind up? Brijesh: I’d like to recall this Gujarati saying which my mother taught me once & I quote – “Nishan chuk maaf, pan nahi maaf toh nichu nisaan”, which means – you are allowed to fail when you dream big, what is not allowed is to dream less! 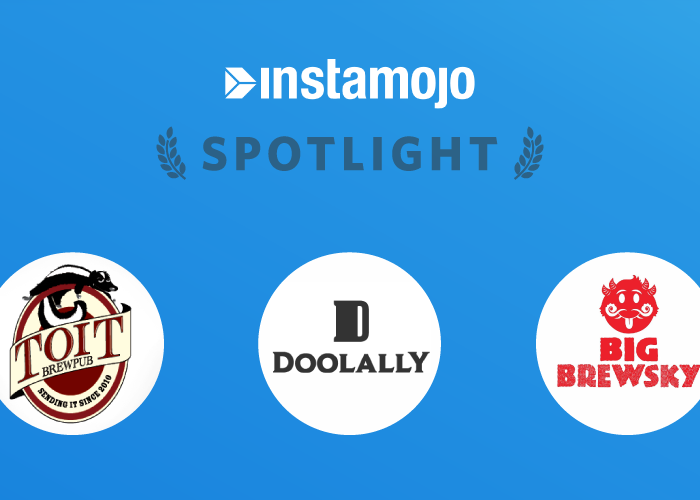 Many merchants like Brijesh use Instamojo to collect payments online. We help small businesses dream big and go bigger in business. You can too! Check out the Instamojo experience today.